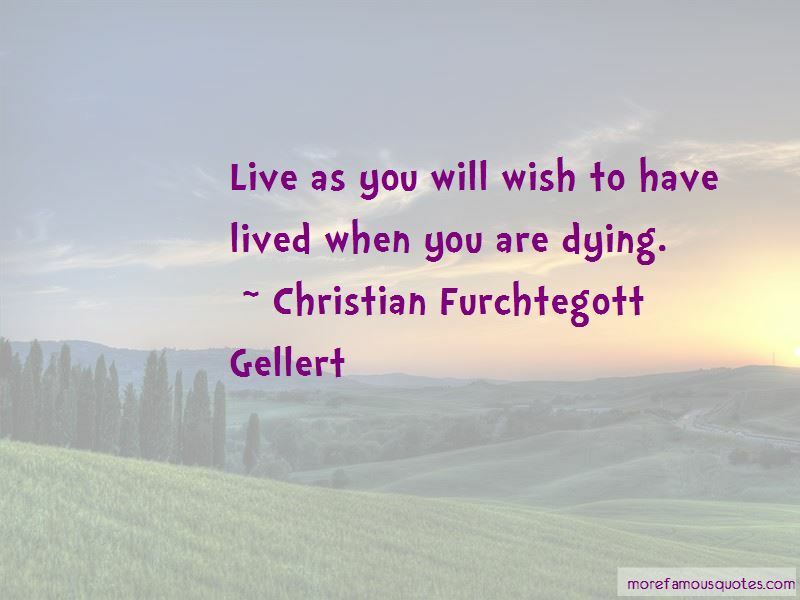 Enjoy the top 4 famous quotes, sayings and quotations by Christian Furchtegott Gellert. 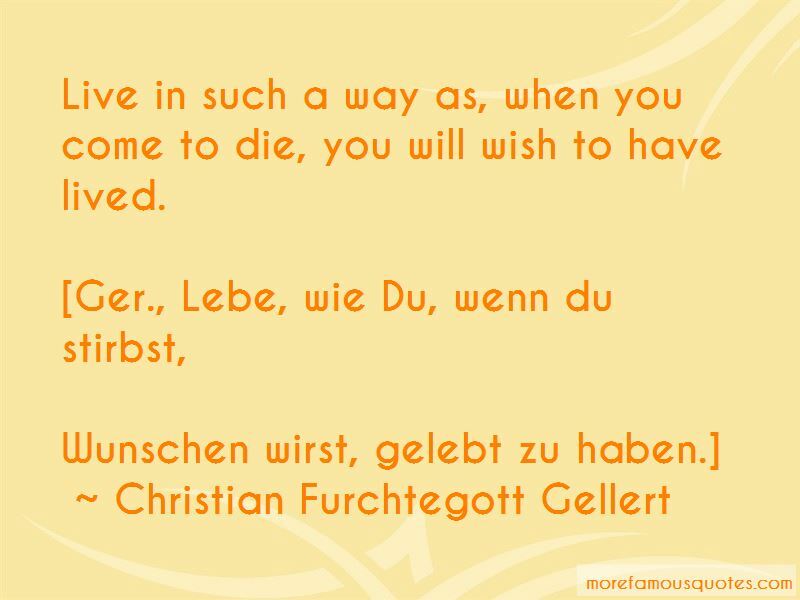 Live in such a way as, when you come to die, you will wish to have lived. Rest and reign with Him in heaven. 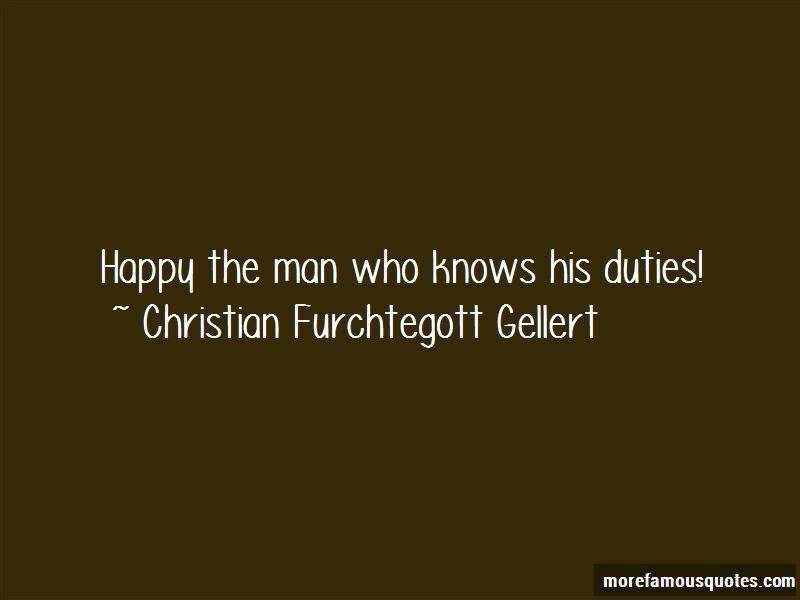 Want to see more pictures of Christian Furchtegott Gellert quotes? 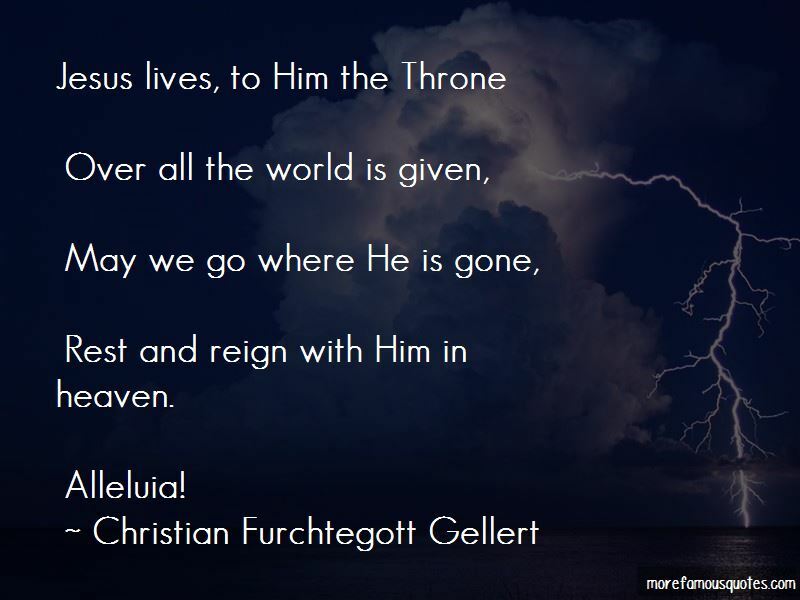 Click on image of Christian Furchtegott Gellert quotes to view full size.